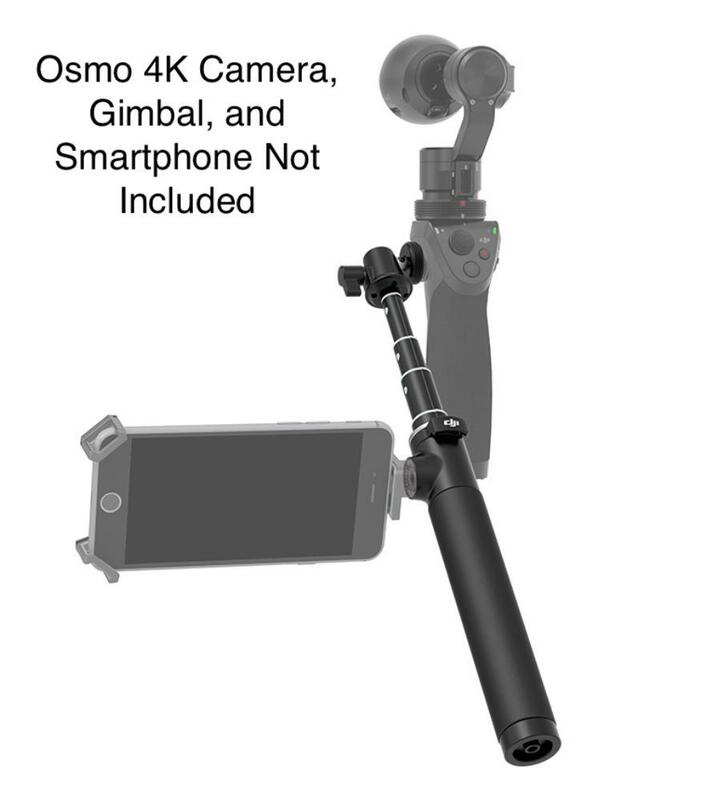 The DJI Osmo Extension Stick is a pole accessory for Osmo handheld gimbals. It attaches to an Osmo's handle at the rosette. It is not used instead of the normal handle but in addition to it. 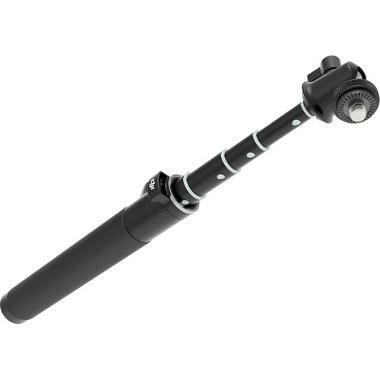 It features a telescoping design with a 1/4"-20 socket on base to connect to accessories like monopods and tripods. The articulating ball head gives the shooter precision positioning. • This extender attaches to the Osmo's handle at the rosette. It is not used instead of the normal handle but in addition to it. • Folded Length: Approximately 8"
• Extended Length: Approximately 27"